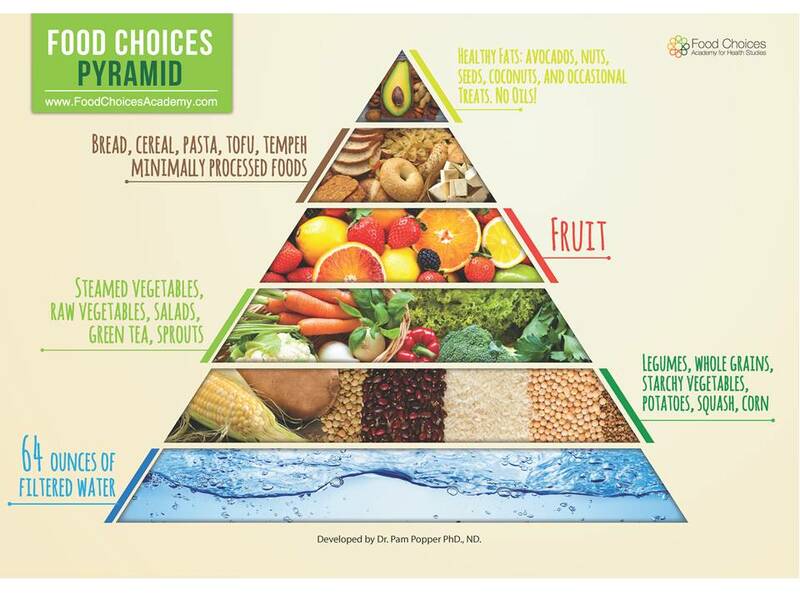 Week 4 May 29/30 – What foods are healthy? For the introduction to the 12-week course called, “Total Health Improvement Program (THIP),” either watch the video, “Eating You Alive” or “Forks Over Knives”. Featuring leading medical experts and researchers, Eating You Alive takes a scientific look at the reasons we’re so sick, who’s responsible for feeding us the wrong information and how we can use whole-food, plant-based nutrition to take control of our health—one bite at a time. “Forks Over Knives” looks at the China study and interviews Dr. Caldwell Esselstyn and Dr. T. Colin Campbell. Additionally, the book “How Not To Die” by Michael Greger, M.D. is used as the text book for the course. Participants are encouraged to obtain their own copy, available for purchase in class for $18 or online. Week 2 is a discussion about lifestyle medicine. The course follows the revolutionary book “How Not to Die” written by Dr. Michael Greger, where foods are used to prevent and reverse disease. Learn about how a plant-based diet can treat chronic medical conditions, such as diabetes and high blood pressure. Dr. Greger’s Daily Diet Guide or download the app available on Google Play for Android and iTunes for iOS. The “Standard American Diet”, also known as SAD, is high in fat content and low in nutrient rich foods. This focus of week 3 is to bring attention to what types of food and how much of each food is necessary to incorporate into our daily diet. We will debunk myths regarding protein-rich foods and other common sources of confusion. Dr. Greger: How much should you exercise? Now that we’ve reviewed foods that should be avoided, we focus on the many foods that are great for your health. 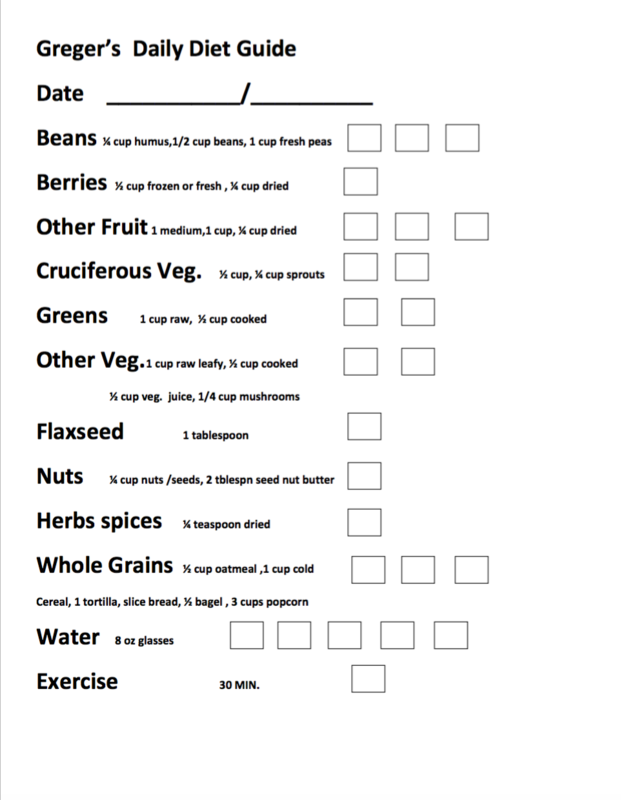 We focus on how to plan your diet using resources like “Dr. Greger’s Daily Dozen”, as well as recipes inspired by Dr. Greger. We also will learn how to replace dairy and meat with healthier choices. Week 5 highlights the importance of fiber for your digestive health. We learn about how much fiber should be incorporated into your diet and the many health benefits of fiber. We also discuss gut bacteria and how to develop a healthy gut ecosystem. Plant-based diets may help prevent weight gain, promote weight loss, and maintain desired weight by increasing resting energy expenditure, lowering energy gain, up-regulating metabolism, improving satiety, preventing fat cells from taking up fat, and improving plasma adiponectin levels (a hormone that helps control weight). Dr. Greger – Can Morbid Obesity be Reversed Through Diet? Week 7 focuses on how health is multi-faceted and mental health is a vital component of overall health. Please scroll down to the bottom of the page for more resources regarding mental health, including meditation and relaxation, managing stress and forgiveness (see bottom of page for videos we didn’t have time for). Dr. Amit Sood – The Key to Reaching Personal Goals: Conquer Stress First! By eating plant-based and living a healthy lifestyle, 90%-95% of type 2 diabetes is avoidable. Heart disease is the leading cause of death worldwide. Find out how to prevent and reverse heart disease and how not to die from hypertension or heart disease with teachings from Dr. Esseltyn and Dr. Greger. This week your cardiac health is our focus and with a plant-based diet our goal is to have your heart in optimal shape. A plant-based diet is good for your body and the environment. This week we learn about how what we eat affects the world around us and how we can make a positive impact. We discuss the importance of thinking about our future self and switching to a plant-based diet helps us live a life that involves delicious food and drink, delivers better health, leaves a smaller carbon footprint and avoids killing other creatures. How Much Water Needed for an 8oz Steak? In this new bonus class, we will explore additional topics related to eating a plant based diet that we haven’t gotten a chance to cover. The topic will be updated at the time of the class to include some of the latest cutting-edge research coming out that is relevant to your well-being and optimal health. Week 13 July 31/August 1 – Living your best life! In our final class, we will complete our journey talking about how to eat a plant based diet and improving your health, longevity, and well-being. Dr. Greger – White Rice is Linked to Diabetes? Dr. Greger – Which Fruits Fight Cancer Better? Dr. Greger – Chicken Big Poultry—Obesity? Dr. Greger – Is Milk Good for our Bones? Dr. Greger – Are Calcium Supplements Safe? Dr. Greger – Are Calcium Supplements Effective? Dr. Greger – Can Diet Protect Against Kidney Cancer? Dr. Greger – Which Type of Protein is Better for Our Kidneys?